As we wrap things up here at Who Is George Mills? let's take another quick look at one of our favorite coincidences regarding the life of George Mills: His association with Seaford, East Sussex. Is it odd that we've never stumbled upon any sort of relationship between Mills and, say, Leighton Buzzard, Great Yarmouth, or Newscastle Emlyn at all, but other places do seem to crop up a great deal, while Seaford has? Today we'll look at a croquet-related connection between George Mills and Seaford. As we know from the indomitable Barry McAleenan, the 1957 Devonshire Park photograph that has been of such great interest to us here bears the likeness of Mr. E. A. "Tony" Roper, one time headmaster of Ladycross Catholic Boys' Preparatory School [above, left] in Seaford. 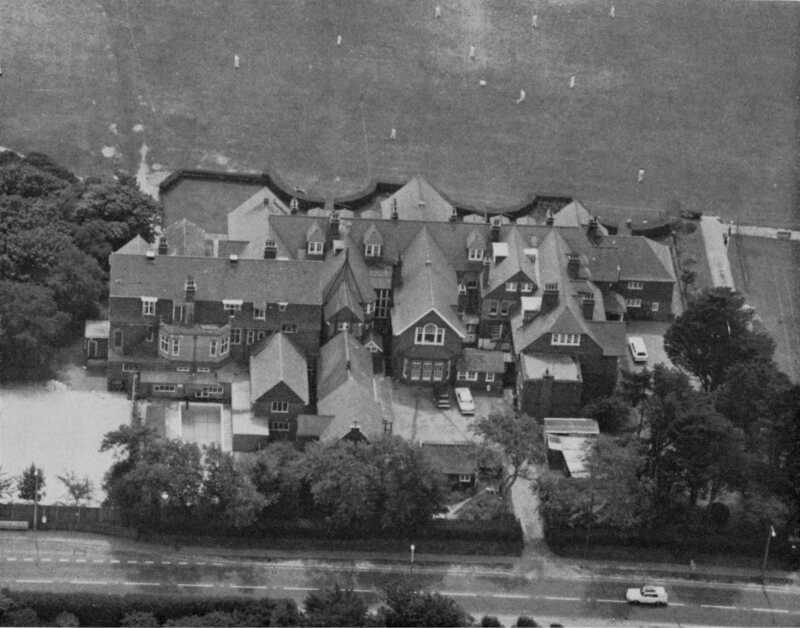 We have also speculated that it may have been an acquaintance—or even friendship—kindled on the croquet lawns of southern England that led to Mills teaching at Ladycross for at least the summer term of 1956. Was Mills simply there in a manner akin to Mr. Aloysius Quole ("Well, should you wish for some light reading, I can commend an excellent pamphlet on the life of the cheese-maggot"), the elderly replacement for fictitious schoolmaster Mr. Lloyd in the 1938 novel King Willow by Mills? Is it possible that Mills actually taught there longer, or at a previous time, a few years before? We don't know, but we do know a bit more about Mr. Roper. Esme Antony Filomeno Roper was born in Christchurch, Hampshire, on 5 June 1895. The easiest information to glean regarding Roper is his service in the First World War as a 2nd Lieutenant in the 9th Battalion of the East Lancashire Regiment. Roper's address was listed in 1916 as "Ladycross, Seaford, Sussex," and his father named: A. F. Roper. This at the outset would indicate that Ladycross School was a longtime family-owned institution. The London Gazette dated 16 October 1914 lists Esme Antony Roper in a section indicating, "The undermentioned to be Temporary Second Lieutenants. Dated 13 October 1914." Roper's medal card indicates that he earned a "Badge" on 9 October 1916, and adds: "Refusal List/25." An additional entry reads: "2nd application through A. F. Roper (father) 22 – 4 – 17." The final entry on the card notes: "Further application 29th – 9 – 17 A. List 336." I have been unable to discover what the "Refusal List" might have been. This indicates that the younger Roper had earned a Master's Degree. Checking the 1956 Oxford University Calendar, we find an entry that reads: "Roper, Esme Antony Filomeno 1931." The 1957 yearbook includes the notation: "Oriel 1917," indicating that Roper had returned from the war and had matriculated in 1917. Sir Francis Cowley Burnand's The Catholic Who's Who and Yearbook: Volume 35 contains the following entry: "ROPER, Esme Antony, MA. (Oxon. ); Headmaster of Ladycross; yr.j. of AF Roper, MA. (d. 1935), founder of Ladycross 1894, and Isabel May, nee Hoffman: m. 1929, Dorothy Marie Gladys, yr.d. of late Alfred Ames, formerly of Ceylon; Educ: Downside; Oriel Coll., Oxford (1st cl. Classical Hons); served W. War 1 as 2/Lt. E. Lanes Regt. ; Publ. : Ladycross Motets. 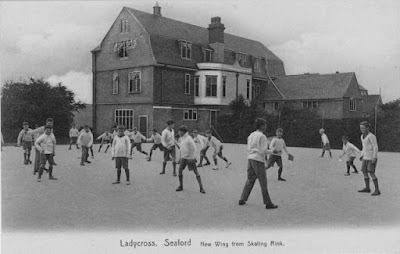 Address: Ladycross, Seaford, Sussex." The Downside Review (Volumes 35-36) in 1916 contains the following entry in a list of soldiers: "Roper, Esme Antony F., April 1910-July 1914, 2nd Lieut., 9th East Lancashire Regiment." So Roper [right] was an "Old Gregorian" from Downside School, a Catholic independent school located in Stratton-on-the-Fosse, Somerset, as well as having taken degrees at Oxford. The music is still available through Banks Music Publications. Once again, we easily can see no less than six very commonly occurring "coincidental" links to George Mills: Attendance at Oxford, a connection to Sussex (often Seaford), an interest in the performing arts (especially music), a boys' preparatory school, croquet, and a devotion to Catholicism. In regard to the Devonshire Park image mentioned above, Barry Mc indicated to us that: "E.A. 'Tony' Roper was the former (till 1954) headmaster of Ladycross." Retiring in 1954, Roper most likely still had influence at the school that his family had founded and run for exactly 60 years, even after he had indicated a preference for spending his time upon England's croquet lawns. 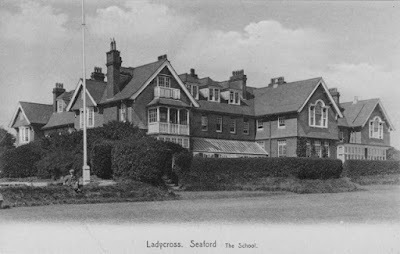 If Ladycross had needed a teacher in 1956 and Mills was an acquaintance, George's appearance at Ladycross having been a result of some connection between the men seems probable. 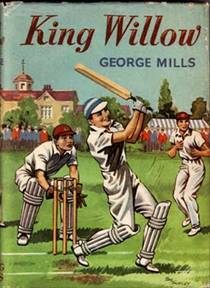 We know Mills played from at least 1957 (although there are no complete records for him in the database at the Croquet Association) through the very last game of croquet I can find George playing on 26 June 1970. As far as we know, Mills never played Roper, but the latter played George's sisters on three occasions, having beaten Agnes Mills once, while having been defeated by Violet Mills twice. To where exactly did Roper retire? On 8 April 1960, the R.M.M.V. Winchester Castle, of the Union-Castle Mail S.S. Co. Ltd., steamed into Southampton from Durban, South Africa, bearing the passengers Esme Antony Roper, retired, and Dorothy Marie Roper, housewife, born 19 November 1888. The couple's address is listed as "Ladymead, Hurstpierpoint, Sussex." Roper passed away in Surrey early in 1979 at the age of 83. 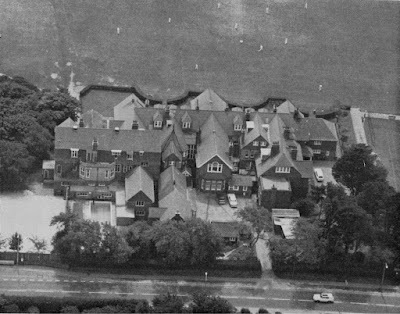 Ladycross School already had closed in 1977 and was demolished. Croquet Gazette: Who is George Mills? Who Was Mr. H. E. Howell?